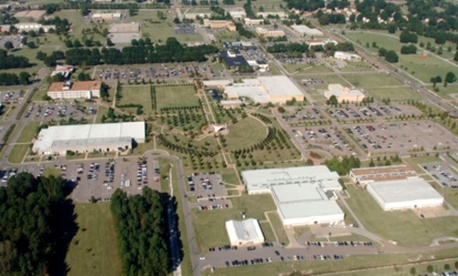 At least two people were reportedly shot and injured near the Millington Navy Base on Thursday in Tennessee, north of Memphis. The suspect is now in custody, and the lockdown has since been lifted. The shooter and both victims are all National Guardsmen, according to police. The victims are in "non-critical" condition, and a Navy spokesperson told CNN that the two people wounded in the shooting were taken to local hospitals. Spc. 1st Class William Jamieson said to CNN that the shooting occurred at a Tennessee National Guard office, which is across the streetfrom the base itself. There were initially conflicting reports on how many people were shot — earlier accounts indicated that four were shot in the incident. The shooter may have been recently relieved of duty from the base — one eyewitness said he saw police apprehend a while male wearing a uniform. NBC reports that the shooter and the two victims were in an argument before one pulled a small handgun on the other two. One victim was shot in the foot, the other in the leg. About 7,500 people work at the base, according to the Navy, including civilian, military, and contract personnel. The base headquarters the Navy Personnel Command, Navy Recruiting Command, the Navy Manpower Analysis Center, and the U.S. Army Corps of Engineers Finance Center. It also serves as the Navy’s Human Resources Center of Excellence.